The learning on my end was endless. I was expected to teach these students how to use all of this technology and integrate it into the lessons. On top of that, it had to be done efficiently and effectively – that was honestly the toughest part. We’re used to hearing about the digital divide students face by not having access to technology, but what about the one where teachers aren’t comfortable using the technology they have been given? One of the ways that FLVS helps new teachers prepare for the integration of technology into their lessons is by providing internships. In 2009, we started with just six interns. To date, we have placed 628 teacher interns working with more than seven colleges and universities! We take interns from graduate level certificate programs, and undergraduate and graduate level degree programs from all over the country, and even internationally. We have interns from China, England, Guam, Japan, and Thailand – all because we are virtual and use technology efficiently. The benefit to an FLVS internship is that these student teachers get to see the vast variety of technology and programs we work with and they actually get to use it. It gives them the confidence and the background of seeing how technology can personalize learning for every student. 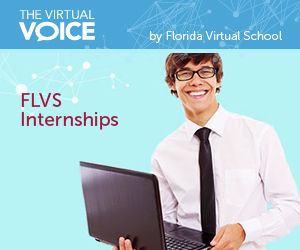 This experience gives FLVS interns a big advantage when entering any digital classroom – traditional brick and mortar, blended, or virtual. Professional development for teachers is critical and needs to have a continuous focus as the landscape changes constantly. I’ve been hearing bits and pieces about it from Florida legislators and expect to hear more this upcoming session, and in those that follow. Teachers, new and old, need the tools, resources, and training to teach the future leaders of our country. 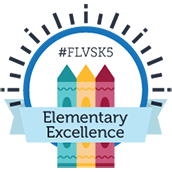 Keep up the good work, FLVS! 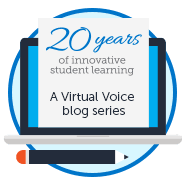 This entry was posted in Educator Edition and tagged Education, Educators, Internships, Jobs, Online Teaching Internship, Personalized Learning, Teaching Careers, Teaching Internships, Technology, Virtual Education on October 15, 2015 by Holly Sagues.